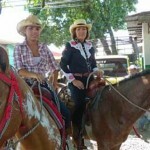 In Panama we ride Western Style, an easy, relaxing and more secure way of riding than the traditional English style. 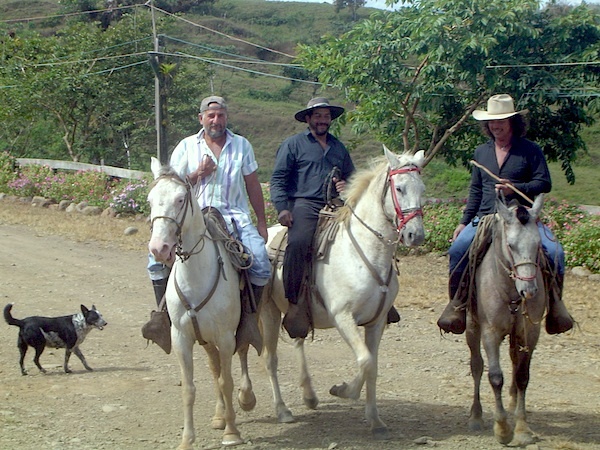 The vaqueros (cowboys) of Panama have to spend hours a day in the saddle, so they sure make that saddle as comfortable as they can. You can hold on better to a Western than an English saddle without clamming your legs against the horse. Legs are extended and relaxed. Trail riding, Western Style, is a beautiful way to take in the splendour of environment all year round. 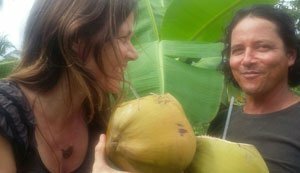 Leave the stresses and worries of life behind you, relax and let Gama take you out for a challenging trail through the stunning countryside of Playa Las Lajas or for an easy going ride on the long long beach. 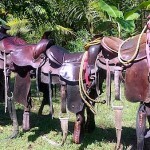 Western riding is a style brought to the Americas by the Spanish Conquistadors. Both equipment and riding style evolve to meet the working needs of the cowboy. 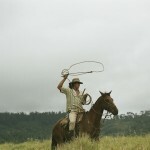 They need to work long hours in the saddle over rough terrain, sometimes needing to rope cattle with a lasso. Because of the necessity to control the horse with one hand and use a lasso with the other, the horses are trained to neck rein. To change direction you only need a light pressure of a rein against the horse’s neck. Horses are also trained to exercise a certain degree of independence in using their natural instincts to follow the movements of a cow. Thus a riding style developed that emphasized a deep, secure seat, and training methods encouraged a horse to be responsive on very light rein contact. Your hips and shoulders have to be balanced over the feet, with hands independent of the seat to avoid jerking the horse in the mouth and interfering with its performance. The saddle has a heavy and substantial tree made of wood to absorb the shock of roping. The saddle features a prominent pommel topped by a knob used for wrapping a lasso after roping an animal, a deep seat and a high cantle. 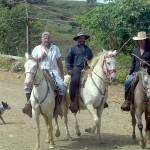 In Panama we use closed-end “Romal” reins, which have a long single attachment on the ends that can be used as a whip. 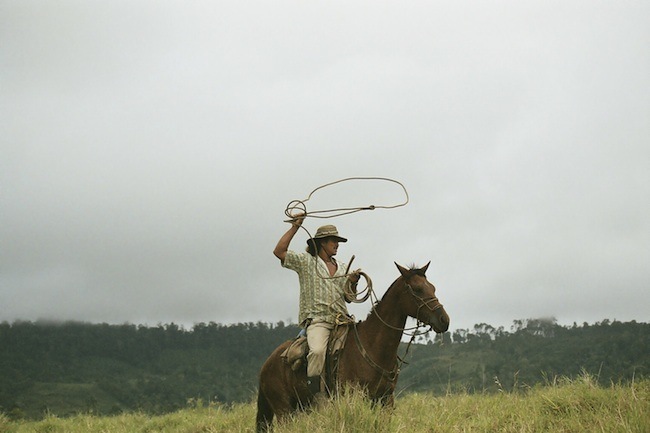 Young horses are usually trained with the classic tool of the vaquero, the bosal-style hackamore and no bit. 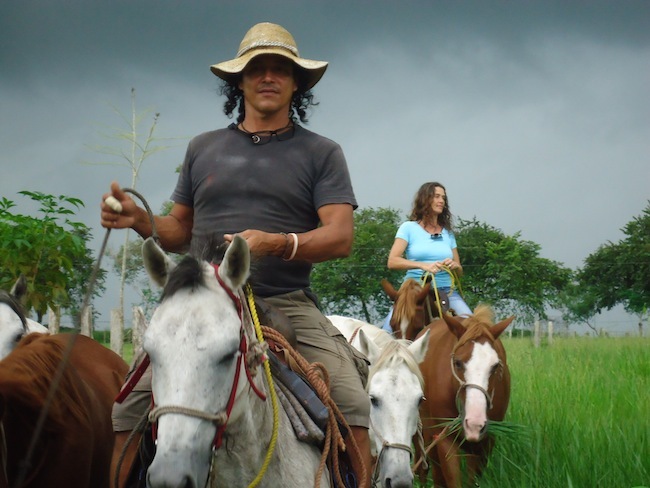 Later on when the horse is solidly trained, the horse is gradually shifted from the hackamore to a bit. 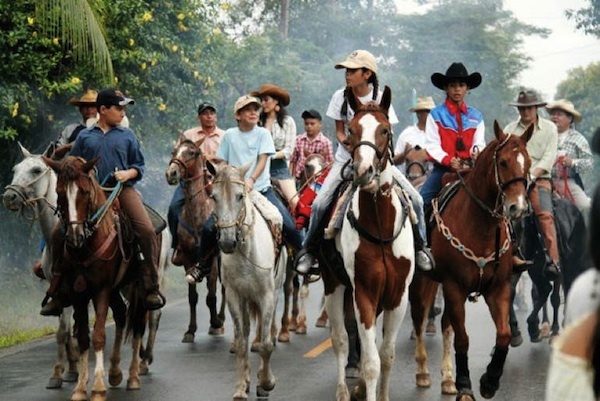 The Panamanian cowboy normally wears a long-sleeved work shirt, denim jeans, boots, and a cowboy hat. Clean, well-fitting work clothing is the usual outfit seen in rodeo, cutting and reining competitions, especially for men, though mostly in brighter colors or finer fabrics. Unlike the English traditions where clothing and tack is quiet and unobtrusive, Panamanian show equipment is intended to draw attention. 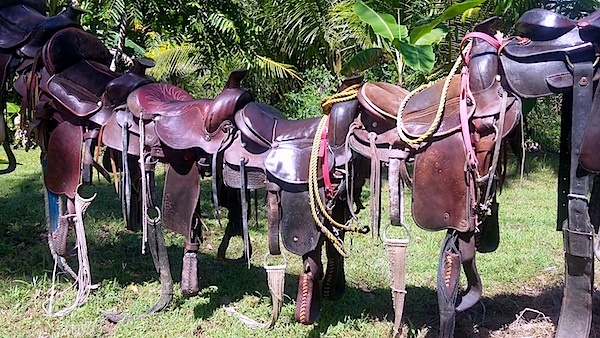 Saddles, bits and bridles are frequently ornamented with substantial amounts of silver. 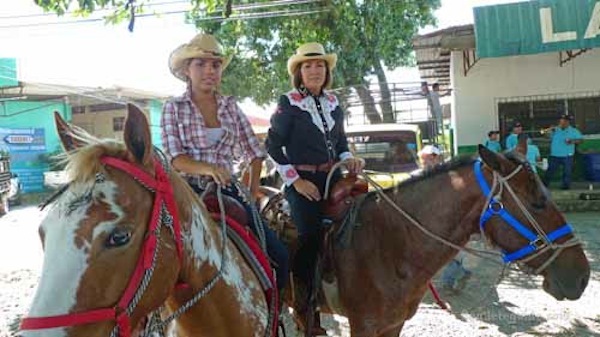 The rider’s shirt is often ornamented with embroidery and women’s clothing in particular may feature vivid colors, spurs and belt buckles are often silver-plated. 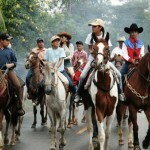 Our province Chiriqui has proud Lasso Teams and have competions several sundays during the year. Ask for more information when you are here so you can join one of these traditional events in the area.